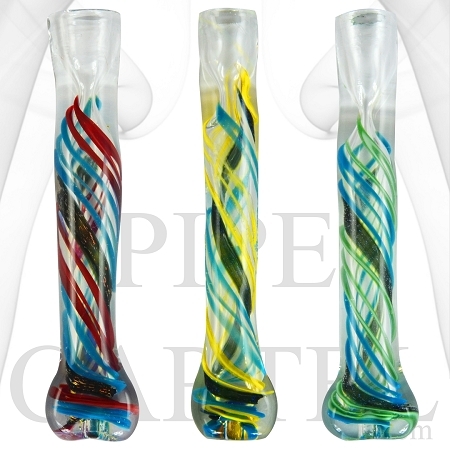 The new hot selling quartz blunt is now available. 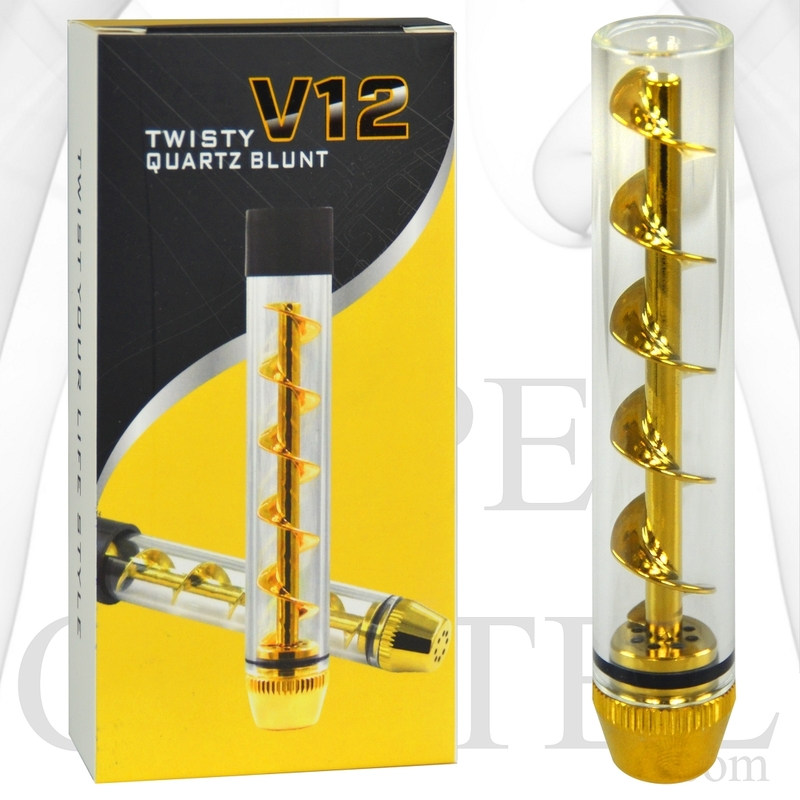 This is a quartz glass tube with a gold color twist inside and a mouth piece on one end. 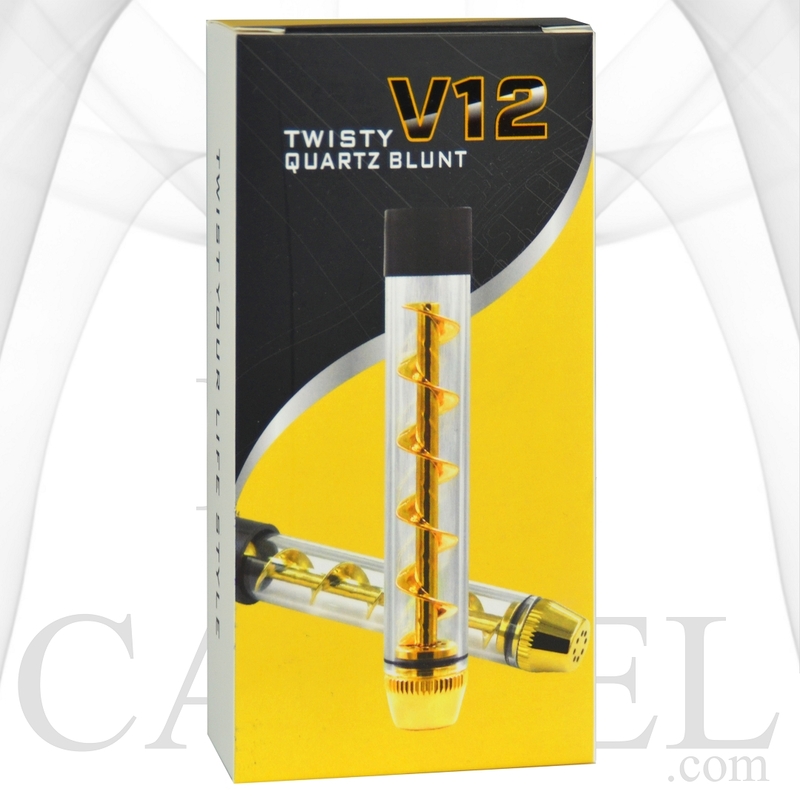 To fill simply put grounded herbs into front opening of the V12 and twist the mouthpiece to make more room, fill as much as you want. To smoke just light the front and inhale from the mouthpiece with the built in screen, twist the mouthpiece clockwise to push out the ash. Has rubber covers for the front and back, comes with a cleaning brush and an extra O ring, comes is a matching gift box.